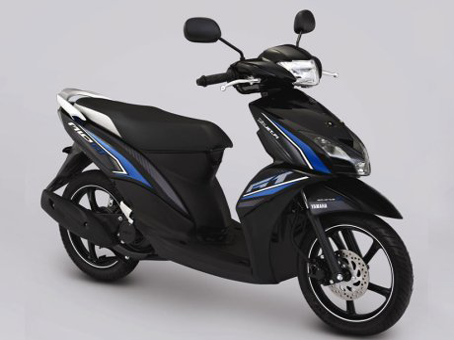 Yamaha Mio GT Specs - The new family of Yamaha Mio was present, Yamaha Mio GT became a new member of the family of Yamaha Mio. 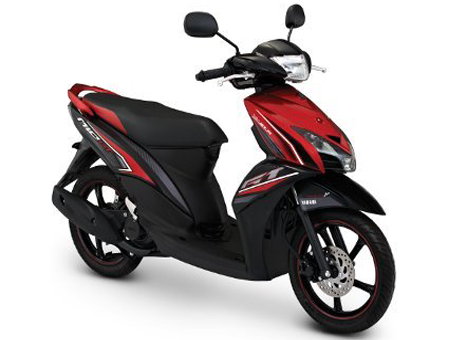 Yamaha Mio GT is the reincarnation of Yamaha Mio Sporty. Design Mio GT claimed to be very sporty and modern. Looks fierce confirmed by Aerodinamyc Grille Accent and headlights Mio Sporty evolved. Yamaha Mio GT injection engine equipped with YMJET_FI 113cc, SOHC 4-stroke, powerful 7.75 hp and torque 8.5 Nm.